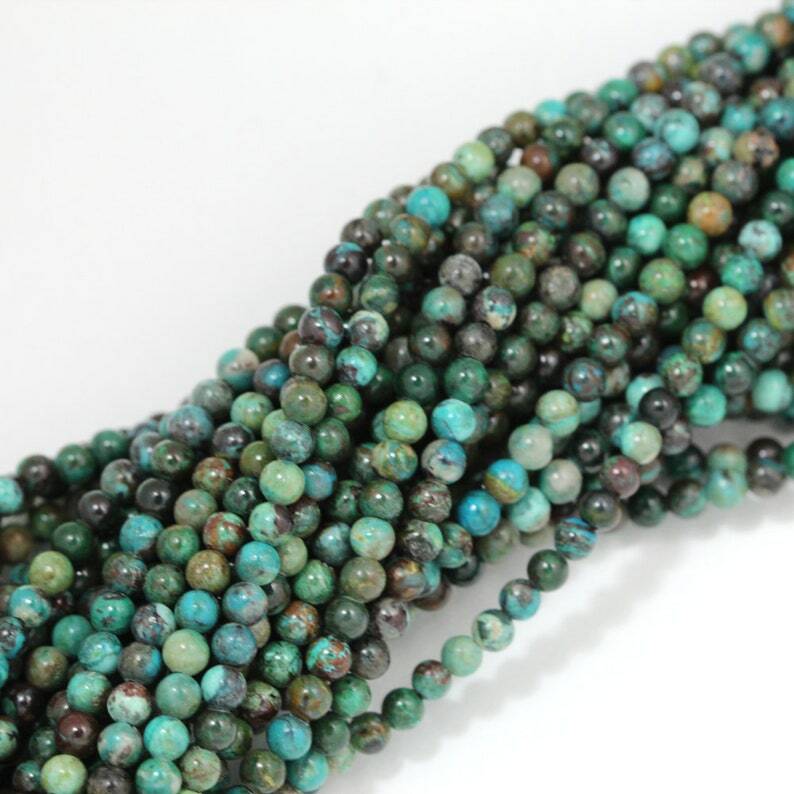 Color: speckles of turquoise green, black, brown, mint green - so pretty! lovely teal African turquoise, just as photographed! Great beads, pictures, and descriptions.